Urbany Hostel is a brand sparkling new Barcelona hostel, a funky 400-bed building located next to La Sagrada Familia, only 300 meters from Clot Metro Station. 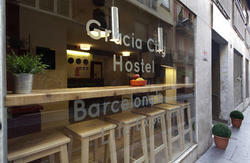 This is the most modern hostel in Barcelona. 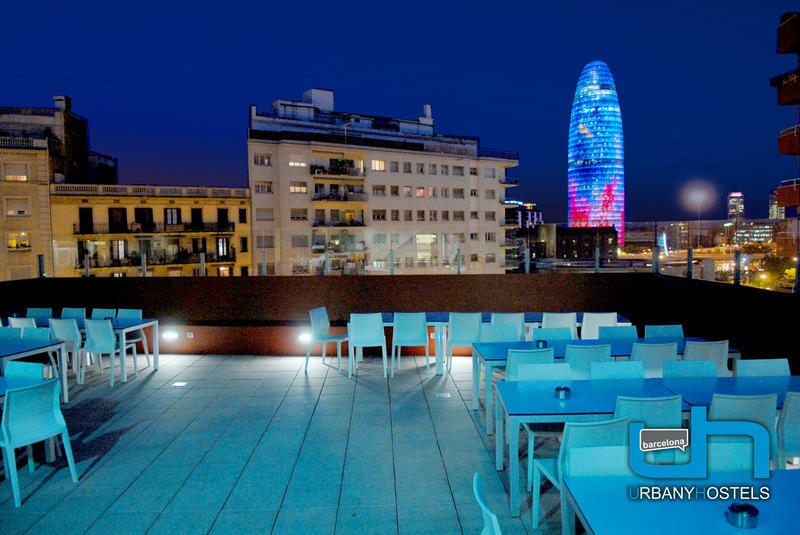 We have a great rooftop terrace where you can enjoy nice Barcelona views and have lots of fun with your friends. In addition we are the only hostel in Barcelona that offers free access to indoor swimming pool and fitness club facilities. We have a variety of room types, with single and twin rooms for more privacy and modern mixed dormitories. All rooms have heating and A/A, keycard lockers, private bathrooms and reading lights. Don't miss our Pink Rooms, where you can escape the boys and enjoy a few extra comforts like a vanity mirror, straighteners, hairdryers and additional mirrors and shelves. We've got a huge lounge area with a bar serving cheap food and drinks. Our hostel features a fully equipped kitchen and a common room with completely free computers; 50MB free Wi-Fi in the whole building, DVDs, cable TV, a pool table and videogames. 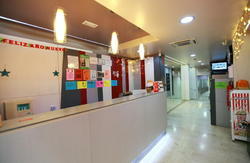 Barcelona Urbany offers fantastic accommodation to enjoy your time in Barcelona, even on a low budget! Our friendly, helpful and multilingual staff are available 24 hours a day, and can help with any inquiry. We have updated information about tours, points of interest and local entertainment, as well as free city maps and tour info. Barcelona Urbany is situated in one of the newest and more modern parts of Barcelona, just a minutes walk from astonishing Sagrada Familia. 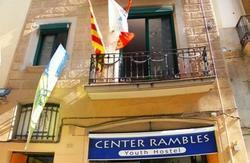 Walking out of the building you will find the Clot Metro station, three metro stops and you will be on 'La Rambla', and in five minutes to the city centre right in Plaza Catalunya. The station is perfectly connected to the train station that takes you directly to the airport. From that location you can also enjoy the best Barcelona beaches and some of the newest shopping centers. By the way, don't worry at night because Barcelona has a night bus lines running all night which stop right in front of our hostel. Barcelona Urbany is the perfect base to explore Barcelona - stay with us and feel the Urbany vibe! Alternately, a taxi from Sants costs about 15 â€“ 20 euros. Take bus number 51 (Pla Palau/C. Meridiana) from just outside the station. Get off at the 11th stop (Carrer de Valencia/Carrer de Dos de Maig). Walk down Carrer del Dos de Maig for two blocks. Turn left onto Carrer del Consell de Cent. Keep walking until it crosses Avenida Meridiana. At this cross youâ€™ll find us at number 97. Journey time is about 30 minutes. Outside FranÃ§a train station, walk to your left and then turn left into the first street you find. When you arrive at the next crossroads, youâ€™ll see the metro station on your left. Take the yellow line (Line 4) going in the direction of Trinitat Nova. Get off at the second stop (Urquinaona) and change here to the red line (Line 1) going in the direction of Fondo. Get off at Clot station and take the exit for Avenida Meridiana. Cross the road and walk to your left for about one block until you find us at number 97. Journey time is about 25 minutes. Alternately, a taxi will cost about 15 â€“ 20 euros. Just outside the aiport, take the bus to Barcelona Sants Bus Station. From there, take the Cercanias train number 2 going in the direction of Sant Celoni/Massanet. Get off at the second stop, Clot-Aragon. When leaving the station, cross Avenida Meridiana and walk on your left for about two blocks until you find us at number 97. Journey time is about two hours.